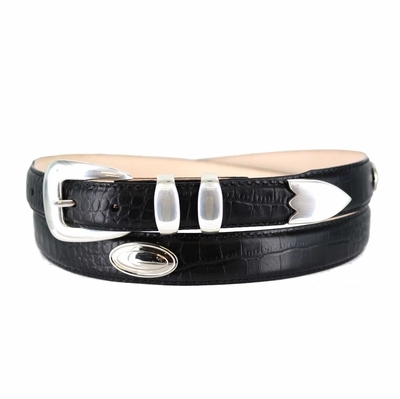 Home > ADORNED CONCHO BELTS > 1401 Leather Dress Belt - Up to size 60"
Genuine Italian calfskin leather strap with Sterling Silver Plated Buckle set with double loops is accented with 5 Sterling silver plated conchos. 1 1/8 inches taper to 1 inches wide. Sizes Available from 30" thru 60".